Vauxhall has been one of the few manufacturers not to embrace the world of 4x4s and crossovers. A surprising fact given their ever growing popularity. Apart from the rarely seen Antara (a car outsold by its Chevrolet Captiva counterpart), Vauxhall's current model line-up consists of everyday hatchbacks and MPVs. That will change next year though with new cars coming through. There's the design-led mish-mash that is the Adam plus a new Astra-based convertible called the Cascada. And then there's the equally oddly-named Mokka, the sister car to the Chevrolet Trax. 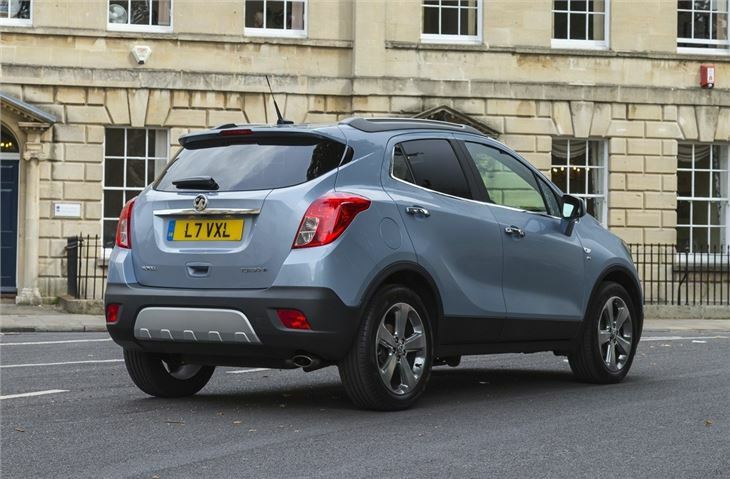 The compact SUV is Vauxhall's attempt to appeal to outdoorsy family buyers. People who want a practical car but one that makes a statement. So expect to see lots of 'lifestyle' stuff in the marketing. Cue people on beaches kitesurfing. 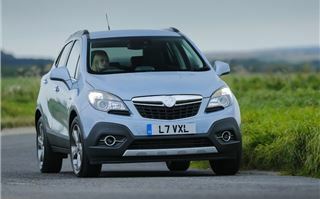 Of course in reality the Mokka is a car that will spend more time in the car park of the local Sainsbury's. 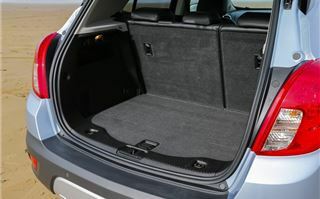 The boot is usefully large with 356 litres - slightly more than an Astra - and the load area is wide with no load lip. 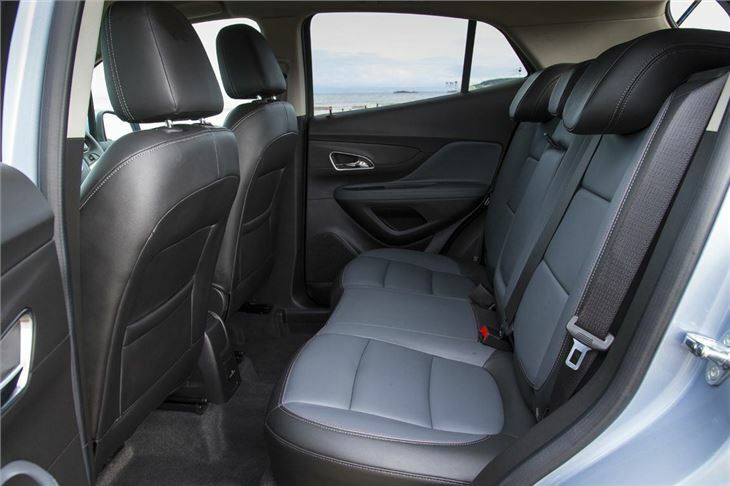 The seats fold down with the usual 60/40 split and the bases flip up, but they don't feel especially sturdy and in terms of flexibility it lags behind other SUVs. One neat optional feature is the latest generation of the integrated Flex-Fix bicycle carrier that slides out of the rear bumper and can carry up to three bikes at once. 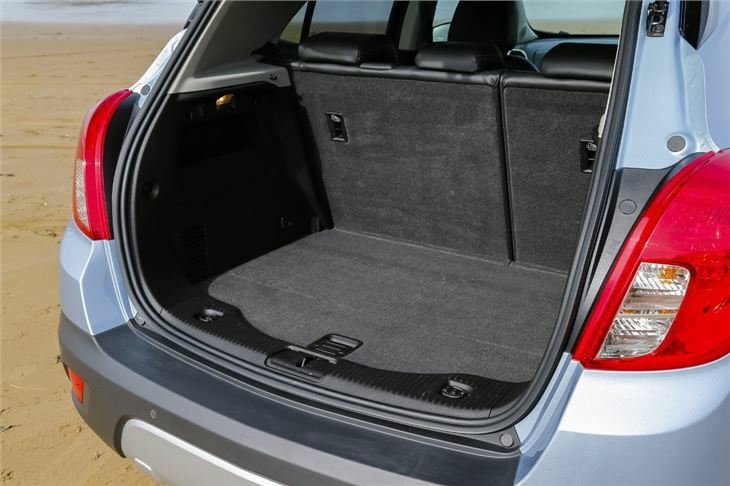 Elsewhere there's good storage, but for a family car of this ilk you'd expect a few more useful touches. Interior quality is a bit hit and miss. 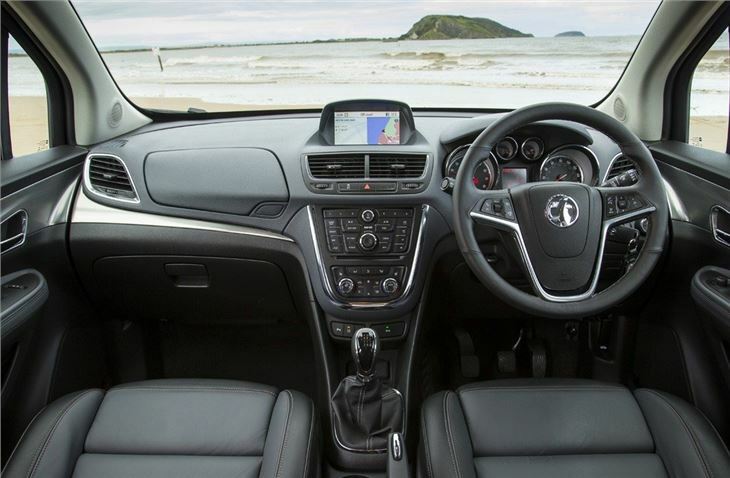 First impressions are good with the usual Vauxhall cabin layout which looks pretty good, helped by touches like the chrome ringed instrument dials and the neat gear lever. But when you start to investigate you'll find a few rattly bits of trim and some hard plastics. The finish isn't quite as good as it looks. Even the leather on the seats of top spec models feels on the thin side. You don't imagine it would wear well after several years of use. 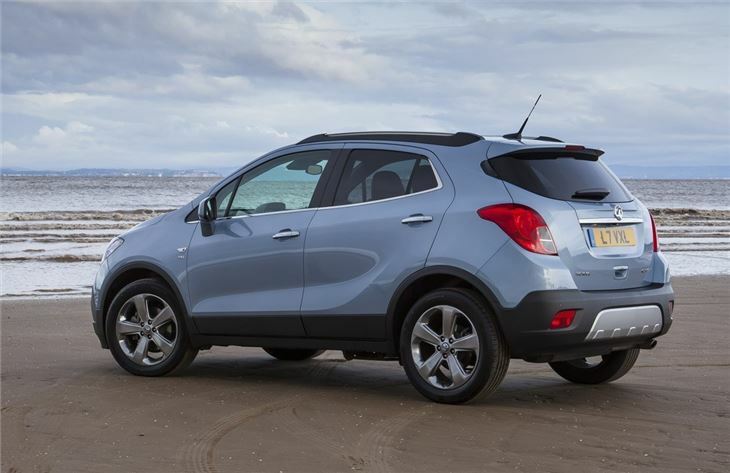 The Korean-built Mokka also lacks refinement. On the motorway there's a lot of wind noise at 70mph and a suprising amount of road noise too. On the plus side the ride is smooth and it feels stable at high speeds plus it's also more than adequate in corners with decent handling, only let down by a bit too much body roll. The steering is nice and light in town which makes manouvering into small spaces easy, but rear visibility is severly limited by the thick rear pillars which makes reversing out of supermarket parking spaces tricky. This seems a big oversight for a car that will be used for plenty of urban driving. The engine line-up is simple – there's a 1.6-litre petrol (front-wheel drive only) with a five-speed manual gearbox along with a 1.4 Turbo that has four-wheel drive as standard. The 140PS turbocharged engine promises much – especially with the 'Turbo' badge emblazoned on the boot - but it feels pretty lacklustre, especially compared to other small turbo petrols like Volkswagen's excellent TSI units. With 200Nm available from 1850rpm and a six-speed manual gearbox, the 1.4 T should be pretty zesty, especially considering the Mokka only weighs 1350kg, but it lacks poke and has to be worked hard to get any meaningful performance. It's fine around town, but feels lacklustre when you're joining fast flowing traffic or overtaking. 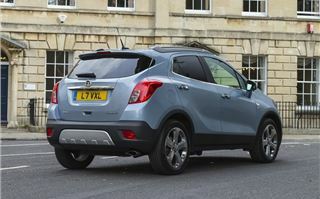 On the plus side it returns a reasonable 44.1mpg according to the official figures. 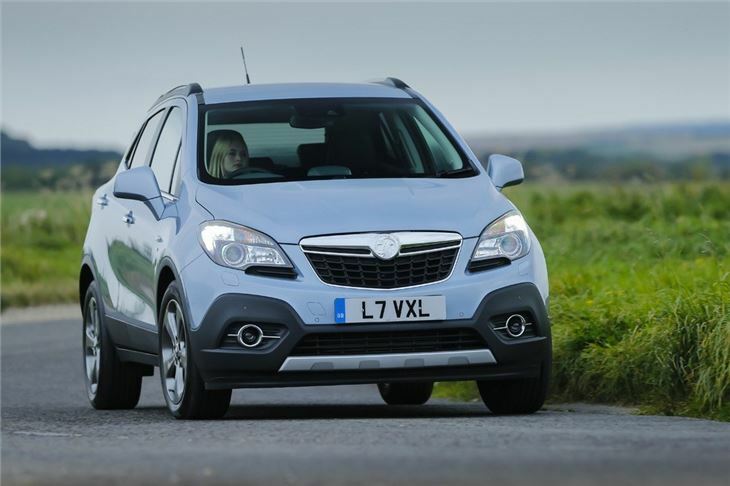 The most popular engine will be the 1.7 CDTi – a mainstay of the Vauxhall range. 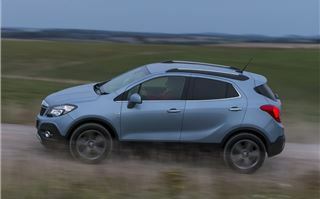 With 130PS and 300Nm of torque it has the pulling power that the 1.4 Turbo lacks and is the engine best suited to the Mokka, particularly on the motorway. It comes with a nicely positive six-speed manual with either front-wheel drive or 4WD plus there's a six-speed automatic with front-wheel drive. 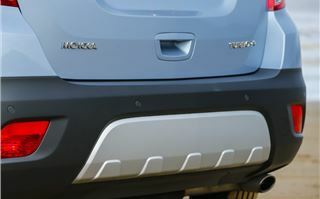 The all-wheel drive models have an on-demand system, so in normal driving all the power is sent to the front wheels. However, if it detects a break in grip it can transfer the power up to a 50/50 split. Useful in snow and ice. There's also hill start assist and hill descent control - which controls the speed of the car down steep slopes - as standard. Like all the engines, the CDTi has start/stop as standard and the good news is that the manual front-wheel drive version averages a claimed 62.8mpg with CO2 emissions of 120g/km, meaning cheap annual VED. The bad news is that the diesel engine really lacks refinement. It's noisy, both on start up and when revved, while there's a lot of clatter when pulling from low revs. 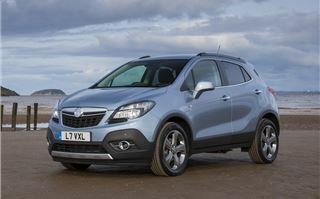 So the Mokka is far from perfect then. But where it does go some way to redeeming itself is when it comes to standard equipment. 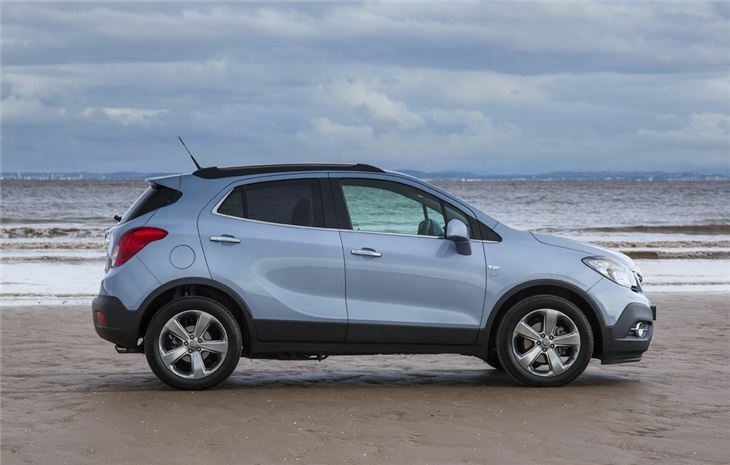 Basic S models start at £15,995 – not an especially low starting price - but they do come with air conditioning, DAB radio, cruise control and six airbags. 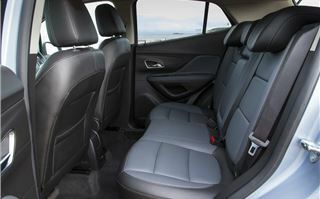 However, the S trim only comes with the 1.6-litre petrol engine. The cheapest CDTi version is a Tech Line trim at £16,690 while top versions are knocking on to more than £20,000. That's ridiculously expensive, especially when you look at what else you can get for that money. 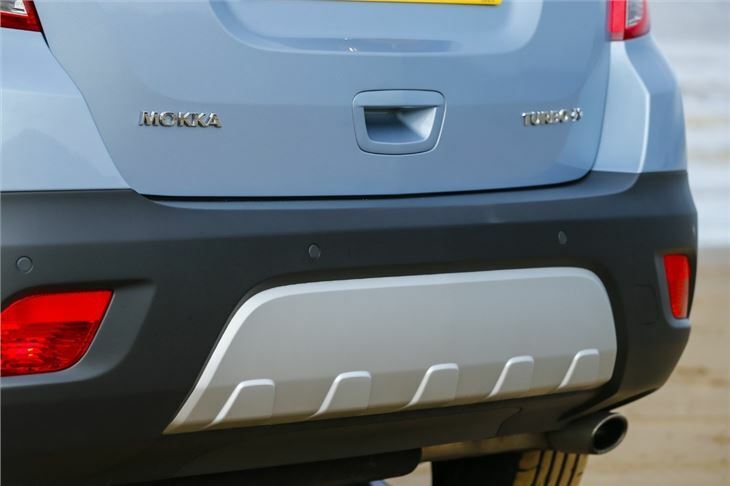 But you can sum up the biggest problem for the Mokka in two words – Skoda Yeti. The Yeti is simply a better car in every department from performance and refinement to quality and value for money. The Mokka falls way short of rivalling it and looks far too overpriced. 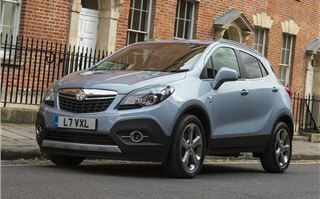 It's easy to see where the smart money lies and unfortunately it's not with the Vauxhall.